Now in its 8th year, the Grace Scholarship Program is the result of a partnership between PVF and a donor to provide the critical gap funding necessary for bright, low-income Zimbabwean students who are a part of the US Achievers Program (USAP) to study at US and European universities. This year, we interviewed a few of the Grace Scholars to learn more about their background, experiences in college, and plans for the future. 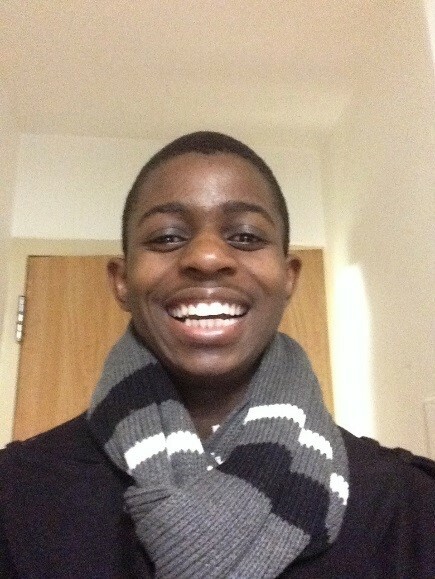 Below is our first interview with Farai Musariri, a junior studying Biochemistry and Molecular Biology at Hendrix College. PVF: Tell us about your decision to study outside of your home country. FM: The honest truth is that my decision was initially a result of financial desperation on my family`s part. Being admitted into a US college plus a generous financial aid package meant that my parents would not have to worry about paying for my education since that was a struggle already. Anyway, the countless social and academic opportunities I was exposed to while working on my college applications made me want nothing less than a liberal arts education. I longed to explore my academic interests outside of the mainstream sciences, and, most importantly, an opportunity to voice my concerns and passions in a place where I would be heard. PVF: Was it difficult transitioning to a different culture? FM: Not really. Zimbabwean culture is so westernized, so I was up to speed on most things: pop-culture, language/slang, dressing, etc. I, however, had a very hard time adjusting to the liberal culture at my school. Being a very conservative Christian, it took me a very long time to actually adjust and find my niche on campus. For the most part, I am happy with where I am right now in my culture training! PVF: What types of activities are you involved in at school? FM: I am a very people oriented person and I guess my most influential role on campus is my job as a Resident Assistant. I know this sounds so cliché, but I genuinely find contentment in putting smiles on other people`s faces. On that note, I am a peer mentor and treasurer for the SOAR team (Student Outreach Alternative Resources) and our goal is to make sure no students feel left out/alienated socially. I am a student representative to the committee on international and intercultural study, and I work very closely with our Dean of Students through our college conduct council. I am also a committee member for Ngoma Africa, The African Students Association on campus. One other thing: I LOVE to cook, so I occasionally work with our culinary club through catering and cooking at campus events. 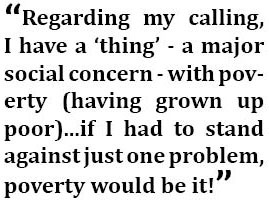 Regarding my calling, I have a “thing”—a major social concern—with poverty (having grown up poor). I went to the Dominican Republic last year on a service trip, and this past summer I worked with the Episcopal Community Services of Maryland (ECSM) in Baltimore City, through the Shepherd Higher Education Consortium on Poverty, in combating child and family homelessness. I am also doing an interdisciplinary study on poverty, outside of my major, so yeah….if I had to stand against just one problem, poverty would be IT! 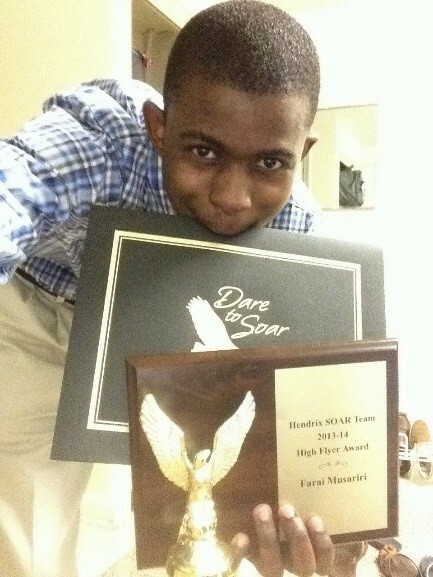 PVF: What is your greatest accomplishment at school thus far? FM: Personally, my most joyful moment was seeing a deaf Rwandan friend (Samson) at Hendrix receive cochlear implants this past academic year (2013/14) after being deaf for close to 18years. I was a major part of the fundraising aspect of this miracle through the SOAR team and we raised $12000+ (together with other funders) for him since his health insurance only covered 80% of his total surgery costs. Overall, this was a very fulfilling experiences in that 3 or so weeks of intensive fundraising (which gave me wonderful professional experience) made a visible, life changing difference to Samson`s life. It was certainly a blessing, and it is one of those experiences I will be thankful for, my entire life. PVF: What do you plan to do post-graduation? FM: My plans as of now include getting a Masters in Public Health and exploring my options in the global health area thereafter. I am set on moving back home, or anywhere is Africa, within five years of my undergraduate education because I realize that back home is where I am needed the most. In the long term, the peak of my career would be to work for the World Health Organization (WHO)….how exactly? I am not too sure yet! PVF: How has the Grace Scholarship helped you pursue your goals? FM: Without the grace scholarship I never would have been able to afford to go to Hendrix, and being at Hendrix in itself has been great blessing. 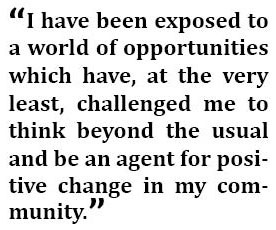 I have been exposed to a world of opportunities which have, at the very least, challenged me to think beyond the usual and be an agent for positive change in my community. On another note, the yearly personal reviews we submit to renew this scholarship actually help me evaluate my progress socially, culturally and most importantly intellectually. I am so thankful for such altruism, and I am challenged to give back in whatever way possible.